We are a leading Manufacturer of disposable sharp container, sharp containers and puncture proof containers, sharp disposal containers, sharps container and medical sharp containers from New Delhi, India. 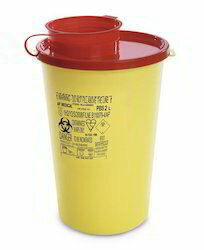 Puncture Resistant Container for the Disposal of Sharps and Cutting Waste. Indents for needles and insulinn pen removal. For the Disposal of Sharp and Cutting Waste. 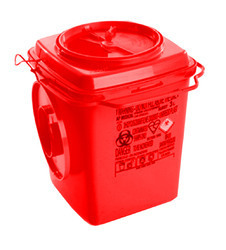 Puncture Resistant Container for the disposal of sharp and cutting waste. 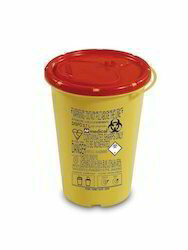 Disposable and Puncture Resistant Containers with Rotating Lid for the disposal of Sharp and Cutting Waste. Temporary closure easy to activate with visibilty of the inside. 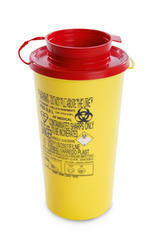 Disposable and Puncture Resistant Containers .